Reverse osmosis (RO) water purification technology uses a semipermeable membrane to eliminate potentially harmful ions, molecules and particles from drinking water. GEâ€™s Desal Spiral Wound Membranes were originally designed for water desalination, but are now used for a wide range of applications in the dairy industry and manufacturing. These membranes are designed to meet your unique needs and achieve high purity water even at high temperatures and extreme pH conditions. 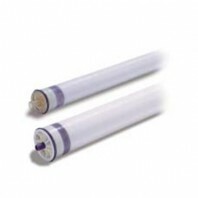 GEâ€™s A-series family of proprietary thin-film reverse osmosis membrane elements are characterized by high flux and excellent sodium chloride rejection. Discount Filter Store offers world-class spiral wound membranes and depth filtration products that create new levels of performance and protection. With these filters, your membrane equipment will operate at optimum performance for lower maintenance costs and improved operations. Not what youâ€™re looking for? Discount Filter Store also offers reverse osmosis filtration products from Tier1, Aqua-Pure, Culligan and Brondell.